Father* Holt Buff Grace Jr. Biography* � Mrs. John (Dorothy Culpepper) Wingfield preserved a 25 page typed manuscript "ONE FAMILY - CULPEPPER" written by her grandfather, Rev. George Bright Culpepper, which noted: On October 12, 1932, a son was born to Mr. and Mrs. C. F. Culpepper at the home of Mr. and Mrs. J. L. Long, the wife's parents, at 4 o'clock in the afternoon. Dr. J. E. Haslam attended the mother. To this son, one for any parent or grandparent to be proud of, they gave the name Thomas James, for his Uncle Thomas Jackson Culpepper and his grandfather, James L. Long, and great-grandfather, James Marian [Marion] Culpepper. He is almost ten years old and a wonderfully intelligent child. He is in school in Jacksonville. He is a great reader for his age, in this respect following his father's example. Thomas J. Culpepper, Sarasota, Sarasota Co., FL, 12 Oct 1931 - 23 Dec 1999, SSN in GA bef. 1951. Robert Matthew Culpepper, Male, born __ 1967 in Guadalupe Co., Texas, child of Thomas James Culpepper and Virginia Lea Matthews. Frederick Thomas Culpepper, Male, born __ 1963 in Brazos Co., Texas, child of Thomas James Culpepper and Virginia Lea Matthews. Father* Charles Frederick Culpepper Jr.
Culpepper, 82, dies after lifetime of volunteer work. Olive O'Dell Culpepper, who worked tirelessly for children and youths, died Tuesday at Charleston Area Medical Center's General Division after a short illness. She was 82. Culpepper, a native of Dana in Kanawha County, was the wife of the Rev. Ross Culpepper, a longtime United Methodist minister, and much of her civic involvement grew out of her church work. She served as secretary of children's work for the state's United Methodists and member of the board of its children's home in Burlington. She gave much of her time to West Virginia Wesleyan College, which was her alma mater. Culpepper was elected trustee of the Buckhannon school in 1955 and served on the board until 1984. In 1967, she received the school's alumni award, and in 1972 she was awarded a honorary doctor of law degree. In 1982, Wesleyan honored Culpepper twice. She became the first woman ever inducted into the honorary fraternity Omicron Delta Kappa and was named "honorary international ambassador" by Wesleyan's international students. Culpepper was also active with Girl Scouts. 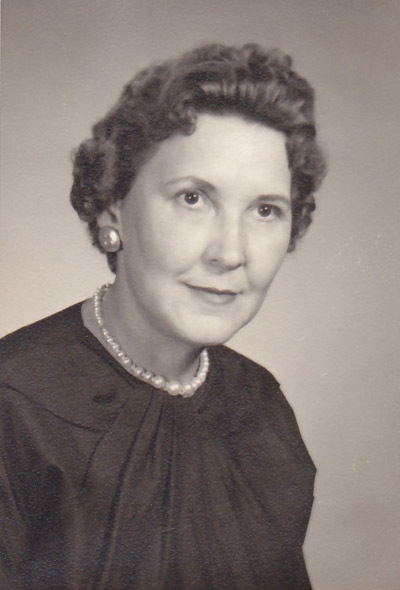 In 1958, she served as vice president of the Kanawha Council of Girl Scouts and served as president of the Mountain Laurel Girl Scout Council from 1961 to 1964 as it grew from five to 22 counties. She served from 1964 to 1972 on the General Board of Missions for the United Methodist Church. Culpepper also was active in a wide range of community civic affairs. They included an interfaith project to buy hospital machines to test babies' hearing, fund-raising to put a chapel at West Virginia Rehabilitation Center and work for the Kanawha County United Fund. When Culpepper was in her early 50s, she and her husband started a new church, Lakeview United Methodist, in St. Albany after his official retirement from the United Methodist ministry. They started three choirs, a youth fellowship, and Boy Scouts and Girl Scouts troops during their six years there. Obituary published 20 Apr 1994 in the Charleston Daily Mail and provided by John William Culpepper.